They’re here…. sorta. Nokia’s(s nok) new Lumia phones — the 920 and 820 — were introduced at a New York City press event on Wednesday morning and they’re the first handsets to show Microsoft’s(s msft) Windows Phone 8 operating system. They look great and appear to have some amazing new technology, particularly around photography. With competitive new Lumias, Nokia’s transition plans appear done and now it’s time to see if the hard work pays off: Will handset buyers care? One immediate challenge for Nokia’s “Switch to Lumia” mantra was upended by a lack of availability details. When asked, Nokia CEO, Stephen Elop, said sometime in the fourth quarter in select markets. That shouldn’t be a total surprise for those who follow this market as in the U.S., carriers typically share those details for new handsets. Regardless of that key information missing — especially since Apple is likely to launch a new iPhone along with pricing and availability details next week, the new Lumias represent the culmination of Nokia’s transition efforts. Hey, didn’t Nokia have Lumias in 2011? Sure, the company launched a few Windows Phone handsets last year. They were serviceable devices that helped build Microsoft’s Windows Phone share thanks to the 7 million Lumias sold so far, according to Elop. But those first Lumias arrived not long before Microsoft publicly announced Windows Phone 8. Simply put: They were stop-gap handsets compared to today’s new models, even though I was personally impressed by the old Lumia 900. Indeed the first Nokia Windows Phone device shared far more with the MeeGo-powered Nokia N9 than it offered in terms of new design. Nokia is generally keeping that design with the new Lumias though, and I think it’s a good move. They’re relatively unique, fit well in the hand and offer a big step up in terms of hardware compared to the old models. My colleague Ryan Kim has a full overview of the new Lumia 920 and slightly smaller 820 and I see several key stand-out upgrades, particularly in the flagship 920. 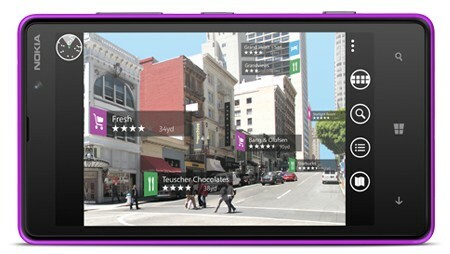 Nokia’s PureView camera technology with the 8.7 megapixel sensor should take outstanding photos. The wide f/2.0 aperture and floating lens technology will help low light pictures and provide image stabilization. The touchscreen uses “super sensitive touch” that works through gloves or mittens and both phones support wireless charging. Gone is the 800 x 480 display from old Windows Phones, replaced by a 4.5-inch 1280 x 768 display with 332 pixels per inch — hey, it’s a Retina Display! — and 600 nits of brightness. An NFC chip works with speakers to play music from the phone. And even though Windows Phone runs superbly on older processors, the bump to a 1.5 GHz dual-core Snapdragon(s qcom) chip is welcome too. Of course, hardware is only part of the equation for success; it takes great software as well and Nokia has stepped up its game here too. Nokia’s navigation and mapping works while offline, helping to save on mobile broadband use. The City Lens app puts virtual reality to good use by superimposing points of interest on your surroundings. Microsoft SkyDrive integration adds seamless cloud storage. At the launch event, Microsoft’s Joe Belfiore said even more Windows Phone 8 software features will be shown in the next month or two. Nokia made a nice phone; has it made a compelling argument to switch? So based on what I saw today, I’d say Nokia’s Lumia transition has effectively ended because it now has a true competitor to the currently available iPhone(s aapl) and Android(s goog) devices. What’s next? Watching to see if the transition has paid off. It’s too early to say but I’m still cautiously optimistic at this point. My uncertainty isn’t because of the devices themselves; I can’t wait to get my hands on one and experience the many improvements. Instead, I was left with a key unanswered question from Nokia that directly impacts the company’s future: What did it announce today that will get consumers to switch from an iPhone or Android device? Without a compelling answer to that question, I suspect most new Lumia sales will come from those already using an older Lumia and that won’t generate the growth that Nokia needs to sustain a turnaround. 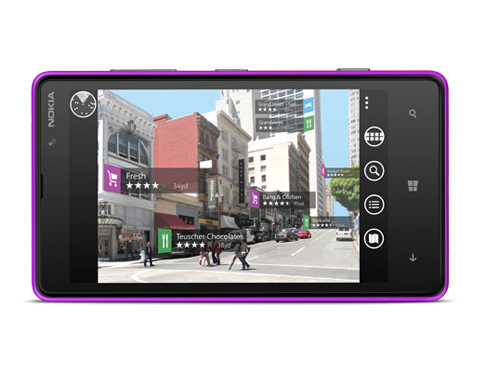 To be sure there are several attractive features in the new Lumias that impress. And when you add them all up, they make for a appealing Windows Phone package. Is that enough to take back market share from iOS or Android? Surely it is from BlackBerry(s rimm), which won’t be on its next platform until 2013. In fact, I still stand by my 2011 prediction that Windows Phone will grab more market share than BlackBerry at some point this year. The game isn’t really against RIM’s BlackBerry, however. Instead, Nokia and Microsoft combined are really looking to pressure Apple and the many Android hardware partners; in particular, Samsung, which stole the top phone seller spot away from Nokia this year. 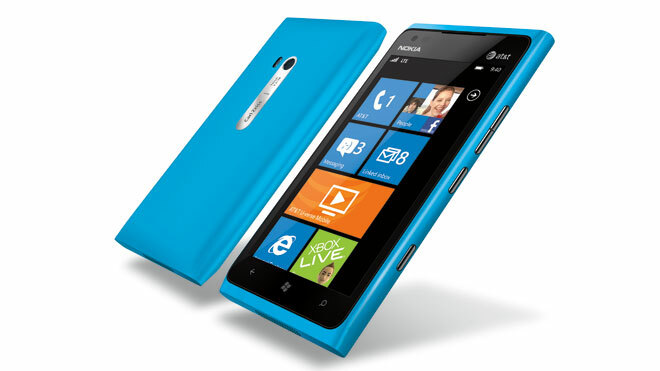 Do the new Lumias with Windows Phone 8 offer enough to mount a significant challenge? On paper, I think so. However, it’s all about marketing, sales figures and carrier support now, so while the transition is over, it won’t amount to anything without those. And part of the reason a $50 price drop last year didn’t do much for sales relates directly to potential struggles with the new phones: Application lock-in costs and wanting to use the device — and apps — your friends use are still potential obstacles no matter how nice the Lumias are. I’m hopeful, but not certain just yet that Nokia is out of the woods. The most exciting feature of Lumia 920 is wireless charging or inductive charging capability. This phone can be charged without connecting to any kind of wired charger. This Windows 8 based phone is going to give a tough competition to its rival, Apple, whose iDevice is expected to be launched soon. These new Nokia’s look great. However, as Elop has stated, this is now a war of platforms, not phones. It doesn’t matter how nice these new Nokia’s are if the platform can’t compete with the iOS and Android. Any word on how this situation might have improved? Interesting post but fails to see the global picture. Whilst the US smartphone market is well advanced and therefore the question of whether current smartphone users will switch is relevant, the rest of the world is not there yet. Remember Nokia sell 80m phones a quarter, of which only about 10m are smartphones, so they have a customer base of 70m per quarter of loyal Nokia buyers who need to be persuaded to by a Lumia. I don’t underestimate the challenge of that, but they have more of a chance with a level-playing-field set of products with some differentiation (camera, maps etc) which should at least appeal to some. I am optimistic about where Nokia can get to globally from this point, even if significant penetration of the US will be more difficult, for the reasons you cite. Good point, Philip. I focused on the U.S. mainly because Nokia made it a point to launch the new devices here. I think there’s still a challenge in other regions where Android in particular has taken root, but you’re right: there’s plenty of room for growth. The reason I make the point is that much comment (particularly regarding Nokia’s survival) which comes from the US is based (understandably) on how Nokia looks in the domestic US market. The rest of the world is very different, both in maturity, and in terms of the structure and scale of the carriers who as you point out are vital in this story (Verizon and AT&T are only number 18 and 20 in the world by number of subscribers). Whilst Nokia’s prospects in the US are both interesting and important, Nokia’s financials are driven by their Global success and the US market can provide quite a distorting lens on that. No pricing and release dates is a big fail for Nokia. In contrast Moto had the sense to announce pricing, availability and carriers. This announcement was premature and clearly timed to try to scoup Apple. Next week Apple will blow away Nokia. 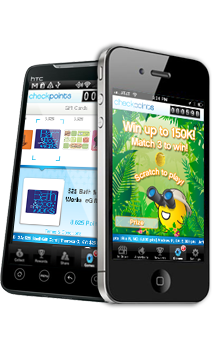 One particular issue that many have overlook – the mobile web have been mostly optimize for webkit based browser due to the popularity of iPhone and Android ( add together, that’s 80+ % in many country ). MS would need a way to address this. The mobile UI frameworks all work just fine in the phone version of IE today. I’m sure it’ll be fine in WP8. There’s nothing to address. Lumia 920 looks delicious. Full marks to Nokia for bringing to market a phone this good at a price this low ($50 for 900). The problem is, and has been, Windows Phone. Folks over at Redmond just don’t seem to get the mobile market. With low look to book ratio, anaemic app ecosystem and horrendous upgrade paths, Microsoft makes it extremely difficult for anybody to adopt the phone. It feels like there’re secret agents in Redmond ensuring failure of every single vendor who touches their software! Great article! I’ve had an Android for so long and have been looking heavily into switching to the new iPhone 5…but now that I see this beauty I’m back to being torn which direction to go. Who would have thought options would make life so complicated…or shall I say interesting! Put a fork in Nokia, they’re done. Megapixels don’t mean anything. I’m fairly certain consumers finally understand this. This particular camera, on paper, is vastly superior to that of most phones. We’ll see if it delivers in the wild. The author is correct when he says it is all about carriers and marketing. Two areas that MS have traditionally not done very well in. Without this they will not sell. The deal they made with AT&T last time needs to be doubled in effort and across all carriers. They should take cues from Nokia marketing as it has of late been slightly better (they need to talk about lifestyle and how your life is improved and not about technology). If it had the camera from the Pureview 808, it would turn heads. These Lumias won’t. Put a fork in Nokia — they’re done. I am not so sure about this – sales of the lower end Asha handsets, particularly in Asia and Africa continue to grow – and the Lumia 920 is hugely superior to the predecessor Lumia 900. One of my favorite handset at the moment is a dual SIM Nokia 101 – which cost me a princely $27 – what a wonderful bit of kit! I think that Nokia has some way to go yet before they haul up the white flag! “mapping works while offline, helping to save on mobile broadband use” should be “mapping works while offline, enabling navigation while off the grid in the boondocks”. I’m liking the phone, but the weight is a bit much. Sounds like another limp product announcement. I expect more from Nokia but this launch is about as exciting as waiting for wireless carriers to update Android OS on their handsets. “It’s coming!” “It will be released….some day” This is not going to make me hesitate if I decide to upgrade my handset “in the fourth quarter” if something great gets launched in the Android world during that same time. Nokia, no information means your product still doesn’t exist even in our minds. Great comment Jeff Putz about mindshare! It’s another impressive release, but I wonder how difficult it is to gain mindshare, let alone marketshare, when you have these big announcements with no ship dates, no pricing and no carriers. Surface had the same problem. Ack! Thanks for pointing that out… fixed!